Welcome to another marathon road trip from Vancouver, BC, all the way to Southern California. You can expect stops at every kitschy roadside tourist trap as well as trips to natural wonders we encounter along the way. We are very leisurely travelers and we don't push ourselves to drive for hours on end, so there are many stops that may not be anything more than an overnight in a motel. In any case, you will get an unvarnished review of everything we see, every hotel and motel, restaurant and attraction we visit. Sit back and relax while we do the driving for you! Come along with us on our Pacific Coast Road Trip! We will arrive in Vancouver aboard Crystal Symphony, but from there on we will be on the road and on our own. We'll have our trusty GPS "Trish" along to smooth the way. What did we do without a GPS before? Oh yeah, we had maps and arguments! Of course, we have back up maps planned long in advance and we thoroughly research hotels, motels and attractions at Tripadvisor.com. Let's just say we don't like surprises. We racked up enough points with Hilton and Marriott during our Yellowstone Road Trip to cover our stay at any of their properties this time, so we're good to go. For those of you who like to share our planning process, we'll post an update here whenever we make a firm booking. January 18, 2011: Nothing has been finalized. We are considering booking a private transfer from the pier to Bellingham, WA, through Crystal (so we can use As You Wish credits to pay for it.) If that doesn't work, we will take a regular shuttle bus after staying overnight in Vancouver. We will pick up a rental car in Bellingham for the rest of the trip. 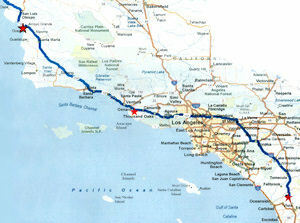 January 30, 2011: A few changes have been made to the post-San Francisco segment of the trip. We will be staying along the coast rather than turning inland for the last leg. We requested information for a private transfer from the ship several days ago, but we have not heard back from Crystal yet. February 2, 2011: We finally heard back from Crystal regarding a transfer from Vancouver to Bellingham. Oddly, the form says that all booking for post-cruise transfer must be made on board through the concierge while also stating that we need to fax back the included form with payment. Both of these statements are highlighted. Hmmmmm. It doesn't matter anyway because the quoted price is nearly triple what we can book on our own. We are willing to pay somewhat more for the convenience of booking through the ship, but we're not foolish. We found a car service based in Bellingham that will pick us up at Canada Place. So far they have been very responsive, so we're hoping for the best and the price sure is right. As of today, we intend to book our own transfer. Some minor adjustments were made to the itinerary over the past few days. An extra day was added to Portland and San Francisco to pad the schedule a bit to allow for some down time. We took a day away from Crescent City and gave it to Bandon because there are better hotel choices in the latter. 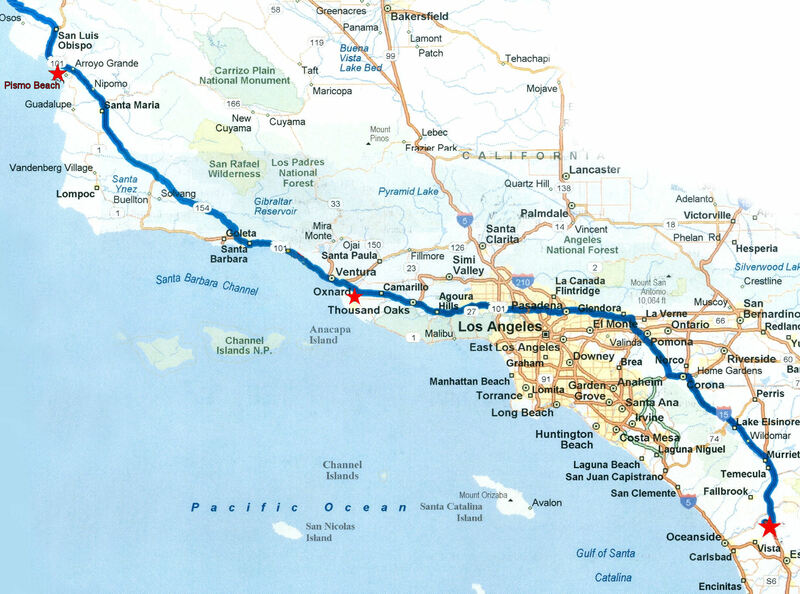 Also, our final overnight city changed from Carpinteria to Oxnard because we have a multitude of hotels to choose from there to use our reward points. No firm bookings have been made yet, but we expect to start doing that next week, especially for weekend stays. We might leave the weekdays open for on the fly changes. February 12, 2011: We're having a bit of an issue with the transfer from the ship to Bellingham, but it isn't a big deal. Turned out that they can't pick up at Canada Place as they thought, so we're looking at other nearby pick-up points. We'll book through the concierge and use our As You Wish credits if we must. A couple of minor changes were made to the stop-over cities, but nothing major. The reservation for a rental SUV has been made, about $1,200 (not including insurance, etc.) for one-month, one-way. That gives us a couple of days to play with if we are delayed for any reason. February 19, 2011: We take back what we said about Crystal's transfer prices. When push comes to shove, around $250 is the going rate. We'll book once on board rather than hassle with doing it ourselves unless the original company comes through (which is unlikely.) Doing a private transfer through the concierge comes with VIP disembarkation, which is a definite plus. Two hotels on our list have changed. The new options will allow us to use rewards points to save a few bucks. Still, nothing is booked, so more changes can be expected. March 1, 2011: Hotel booking has begun, slowly. We scored free internet by joining the associated reward program with the Hotel Bellwether in our first city. We do think internet service should be free anyway, but some hotels are slow to catch up. Always check for this kind of thing before booking. You may recall that we saved $100 per night on one of the hotels we booked in Japan by joining the Japan Airlines program, which is free. The only other change at this point is that we put back the extra day in Crescent City. We found a worthy day trip from that location that makes it worthwhile to stay for two nights. We always prefer to stay at each stop for two nights unless there is truly nothing to do there. March 5, 2011: Hotel bookings are almost complete. Several of our original choices have changed, mostly for pricing reasons. We're not cheap by any stretch of the imagination, but we're not willing to pay $100 extra per night for a "view". The dates and cities are as firm as they can be until we actually start traveling. There have been no changes since the last entry and we do not anticipate any. March 11, 2011: Another minor change was made to the schedule, cutting out an overnight at Bodega Bay and adding that day to Sausalito. All bookings are complete except Bandon, OR, which is purposely left open for adjustments to the itinerary. March 17, 2011: Due to the road being washed out south of Big Sur for an indefinite time, we have altered our route slightly. We have deleted Cambria as a stop and have substituted Pismo Beach. March 27, 2011: All hotel reservations, except Bandon as mentioned earlier, have now been made. Dave's doctor informed him that there is "no chance" his wounded shoulder will heal before we leave, so there will be no shirtless cavorting during the trip (as though that EVER happens!) Everyone will be relieved to know that you are in no danger of seeing him in any state other than fully clothed. So, as of today, everything is ready to go. Knowing us, we'll probably be finished packing this week and will be sitting on our hands just waiting to sail away from Los Angeles to reach the starting line for the road trip. April 4, 2011: It appears that we might have to skip our planned visits to Mt's Rainier and St. Helens because it will be so early in the season when we arrive in that area. We'll probably stick to our planned route and play it by ear when we get there, but this is something we'll decide after we arrive in Washington. Otherwise, we're good to go and looking forward to another road trip.